UPDATE: In the interview below, Coffman Spokesman Tyler Sandberg said that former GOP Chair Steve House “graciously” paid fees for 20 Coffman delegates for the district assembly. In fact, House told KNUS’ Julie Hayden and Chuck Bonniwell that he donated the money to the Adams County Republican Party. He was then asked by Sandberg if his money could be used for delegate fees. House said yes initially but, in accordance with GOP rules, House then deferred the decision on how his money should be spent Adams County GOP Chair Anil Mathai, House told KNUS, who appears to have blocked the money from going to Coffman delegate fees. Listen to House here. “There was a battle last night between the liberty forces, represented by [Congressman Mike Coffman’s primary challenger] Roger Edwards, and the establishment, represented by Mike Coffman, at an executive committee meeting [of the Adams County Republican Party],” said KNUS radio host Chuck Boniwell on air Wed. afternoon. And the battle continued on Bonniwell’s radio show, with accusations of vote-buying, assault, bullying, thuggery, and more. At issue is a group of Coffman delegates to the district assembly who apparently had their delegate fees paid for by former state GOP Chair Steve House. Whether this was a violation of the rules is not clear at press time. But the intensity of the argument, as you can hear if you listen below, shows that the Coffman camp is seriously worried about Edwards winning over 30 percent of delegates at the upcoming district assembly–which would put Edwards on the primary ballot against Coffman. In other words, if the mood was good in the Coffman campaign, Sandberg wouldn’t be scraping for stray delegates in Adams County, much less spending his afternoon sparring with conservative radio hosts who apparently despise him and Coffman. You recall, an informal vote of Adams Country caucus goers showed Edwards trouncing Coffman by a 67-33 percent margin. But, in any case, the altercation on the radio was quite awful. “Anil likes to bully people,” said Sandberg. Listen to key segments here. Click here for the entire show. Anybody have popcorn? If so, could you pass it to me? This gets more and more byzentine………. So Steve House – who may or may not have been the subject of a blackmail attempt by Cynthia Coffman – is accused of helping Cynthia's ex-husband corral delegates by making what may, or may not, be illegal contributions. This is sad to read: "accusations of vote-buying, assault, bullying, thuggery, and more"
I was hoping for "accusations of …, buggery, and more"
Give it time. It's still early. And mopery! Never forget mopery. "OH PLEASE" what ISP boy? Caucus is exclusionary – and it should offend every citizen voter. R's pay to attend the county assembly? Perfect. And they have to pay for themselves, no third party payers? Whatever. Tyler Sandberg is referred to as "volunteer" more than once. I thought he was paid staff. Bonwell is incoherent. And addled. The woman has one of the top two worst radio voices in Denver radio. 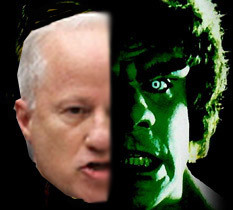 Why does Coffman care about delegates? Why do Adams County R's have different rules from Arapahoe and Douglas counties? Even if House coughed up some cash – it doesn't sound like he bribed anyone. He should say that.